Official figures have stated that finally the rate of unemployment in the UK has dropped. But before you leap out of your chair to yank your nearest job-hunting graduate away from their computer to tell them everything is going to be okay, bear in mind that the drop was from 7.8% to 7.7%, a measly 0.1%. The Bank of England has however informed the public that this fall will most likely continue to drop until it reaches 7%, whereby it will (according to Bank of England governor Mark Carney) rise again. This news was twinned with the information that those claiming jobseekers is at its lowest since early 2009, dropping by a total of 32,600 claimants. 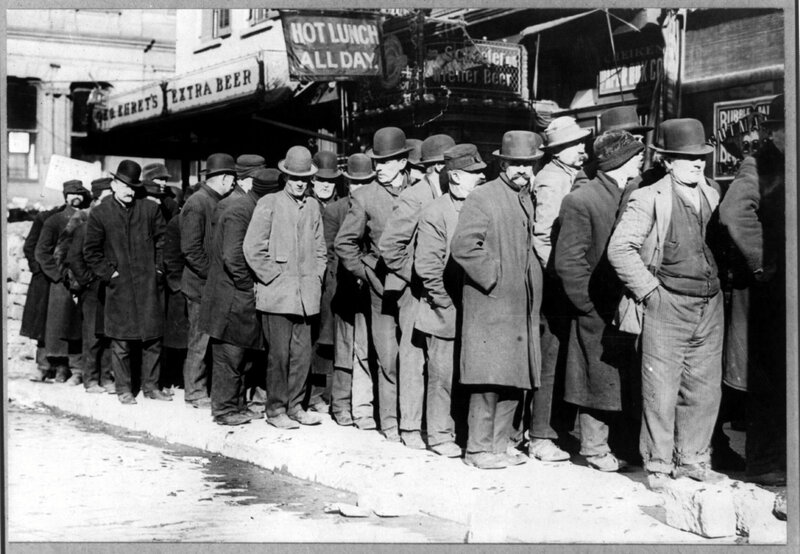 Unemployment statistics have always been a matter of confusion. Throwing every UK citizen into one of two pots, one marked “Employed” and the other “Unemployed” does not tell the whole story. A more interesting statistic is that at the same time as unemployment figures have dropped those employed part-time has risen by 25,000 to 1.45million, the highest it has been since 1992. Also interesting is that fact that wages are still rising at a rate far behind that of prices. Average pay has risen by 1.1% compared to last year, whilst prices are rising at a rate of 2.8%. It is obviously true that many people employed in part-time labour are happy with their job, but just as that is true that many are employed in this fashion because they are unable to find full time work and with rising costs are forced to take whatever they can. This is something that is not noticed by looking at unemployment figures alone. In fact, there is a whole plethora of areas missed by the official statistics. Placing people into one of two camps means they are unable to look any deeper into a person’s individual situation. Statistics cannot tell whether the individual is employed in part or full time but is unhappy because they are working well below their pay grade. Likewise they cannot tell if the individual is registered unemployed but is employed illegally, finding income through prostitution, drug sales or gambling. It is not the fault of the official statistics, they are simply relaying what the data says, and it is not as if they do not tell us anything. Yet it is important not to assume that because official statistics have stated unemployment figures have dropped that this alone is the story. There are many reasons the unemployment figures could have dropped. The statistics could be telling us that unemployment is dropping and we are on the road to recovery, or they could be telling us that people have given up looking for the full-time job they want and are taking whatever they can grasp a hold of. This entry was posted in Uncategorized and tagged Employment, Finance, Government, news, politics, Statistics, UK, Unemployment on September 16, 2013 by The Editor.